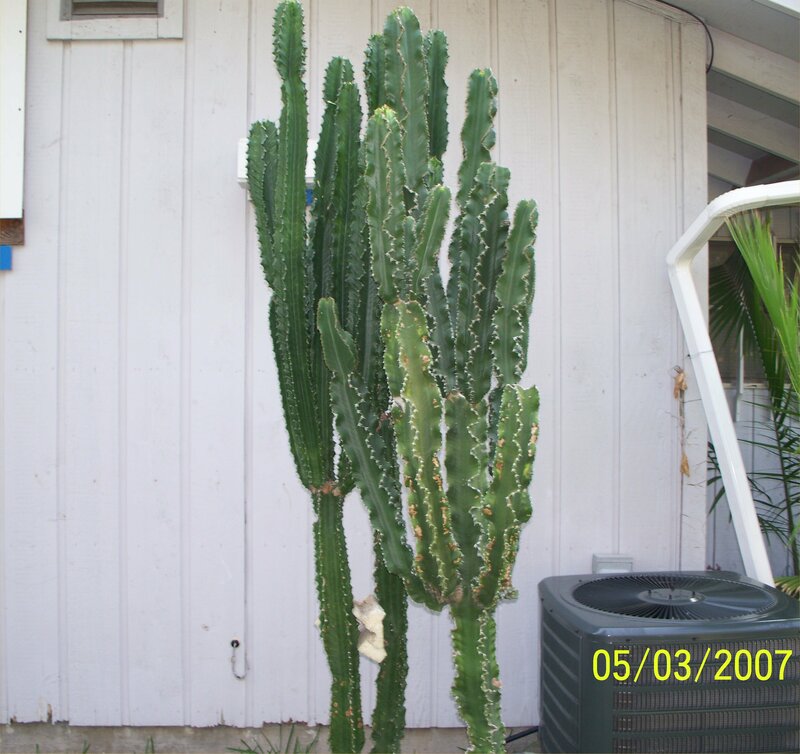 Euphorbia ingens has smaller spines than some of the other large Euphorbias. There's a lot of variation in this species, though, and you could find some with almost no spines at all. 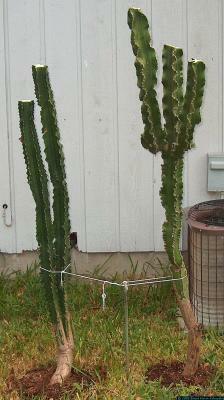 Some of them will also grow large leaves with the spines, but they fall off within a few weeks. This species is somewhat cold-hardy when it's large, taking brief sub-freezing dips with no problem. 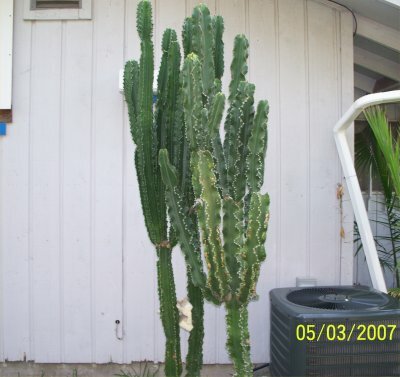 If you plan to leave it outside on cold nights, you'll want to taper off the water in the weeks before the first cold night, as they will grow when there's water available, and harden off when it gets dry.